Nimes has over 2.5 goals in their last 3 games in Ligue 1. Nimes scored in last 3 games in Ligue 1. Nimes scored over 1.5 goals in last 3 games in Ligue 1. 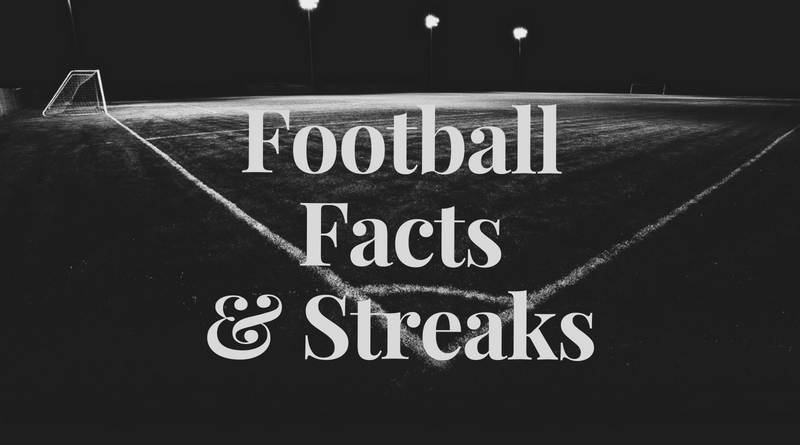 Sassuolo has over 2.5 goals in their last 3 games in Serie A.
Empoli has under 2.5 goals in their last 3 games in Serie A.
Sassuolo won their last 3 home games in Serie A.
Sassuolo scored in last 5 games in Serie A.
Sassuolo scored in last 3 home games in Serie A.
Fortuna Dusseldorf has over 2.5 goals in their last 3 games in Bundesliga. Fortuna Dusseldorf won their last 3 away games in Bundesliga. Fortuna Dusseldorf scored in last 3 away games in Bundesliga. Fortuna Dusseldorf scored over 1.5 goals in last 3 away games in Bundesliga. Real Sociedad has over 2.5 goals in their last 5 games in La Liga. Real Sociedad has over 2.5 goals in their last 4 away games in La Liga. Huesca lost their last 3 games in La Liga. Real Sociedad scored in last 7 games in La Liga. Real Sociedad scored in last 6 away games in La Liga. Esbjerg won their last 3 away games in Superligaen. Esbjerg scored in last 7 away games in Superligaen. Esbjerg allowed opponents to score over 1.5 goals in last 3 away games in Superligaen. HJK Helsinki won their last 4 games in Veikkausliiga. Lahti has under 2.5 goals in their last 5 away games in Veikkausliiga. HJK Helsinki scored in last 4 games in Veikkausliiga. Rovaniemi Palloseura scored in last 3 games in Veikkausliiga. HJK Helsinki scored over 1.5 goals in last 3 games in Veikkausliiga. HJK Helsinki allowed opponents to score over 0.5 goals in last 3 home games in Veikkausliiga. Lahti has under 2.5 goals in their last 3 games in Veikkausliiga. Lahti didn’t score in last 4 away games in Veikkausliiga. AC Ajaccio has under 2.5 goals in their last 4 games in Ligue 2. AC Ajaccio didn’t score in last 4 games in Ligue 2. Chateauroux has under 2.5 goals in their last 3 home games in Ligue 2. Beziers lost their last 3 away games in Ligue 2. Beziers lost their last 5 games in Ligue 2. Chateauroux scored in last 13 home games in Ligue 2. Chateauroux allowed opponents to score over 1.5 goals in last 3 home games in Ligue 2. Le Havre allowed opponents to score over 1.5 goals in last 5 home games in Ligue 2. Lorient won their last 3 games in Ligue 2. Lorient scored in last 3 games in Ligue 2. Clermont scored in last 4 games in Ligue 2. Lorient allowed opponents to score over 1.5 goals in last 6 home games in Ligue 2. Le Havre allowed opponents to score over 1.5 goals in last 11 games in Ligue 2. Lorient allowed opponents to score over 1.5 goals in last 14 games in Ligue 2. Sochaux has under 2.5 goals in their last 4 games in Ligue 2. Orleans scored in last 4 away games in Ligue 2. Orleans scored in last 6 games in Ligue 2. Valenciennes didn’t score in last 3 home games in Ligue 2. Cork City has over 2.5 goals in their last 4 games in Premier Division (Ireland). Cork City scored in last 4 home games in Premier Division (Ireland). Cork City scored in last 6 games in Premier Division (Ireland). Dundalk allowed opponents to score over 1.5 goals in last 6 away games in Premier Division (Ireland). Dundalk allowed opponents to score over 1.5 goals in last 3 games in Premier Division (Ireland). Bray Wanderers has over 2.5 goals in their last 4 home games in Premier Division (Ireland). Limerick lost their last 3 games in Premier Division (Ireland). Bray Wanderers lost their last 4 home games in Premier Division (Ireland). Bray Wanderers lost their last 8 games in Premier Division (Ireland). Limerick didn’t score in last 3 games in Premier Division (Ireland). Sundsvall has over 2.5 goals in their last 4 games in Allsvenskan. Sundsvall has over 2.5 goals in their last 4 away games in Allsvenskan. Brommapojkarna lost their last 3 home games in Allsvenskan. Sundsvall scored in last 4 games in Allsvenskan. Sundsvall scored in last 6 away games in Allsvenskan.